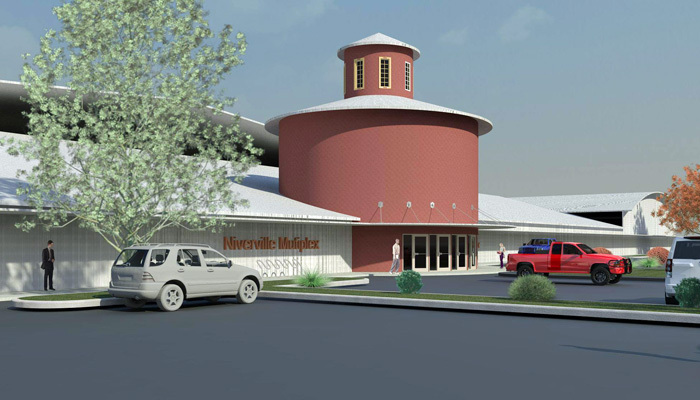 Artist rendering of new Niverville Community Resource Centre. Government funding was announced today for the new Niverville Community Resource Centre, a multi-use facility that will provide recreational and cultural programming and services for the community and surrounding areas. The joint federal and provincial government announcement was made by the Honourable Jim Carr, Minister of International Trade Diversification, on behalf of the Honourable François-Philippe Champagne, Minister of Infrastructure and Communities, the Honourable Kelvin Goertzen, Minister of Education and Training, and His Worship Myron Dyck, Mayor of Niverville.